SEATTLE, WA--(Marketwire - October 2, 2007) - Leading UHF Gen 2 radio frequency identification (RFID), technology supplier Impinj, Inc. today introduced Octane™ 3.0, a firmware upgrade to the company's Speedway® UHF Gen 2 readers that supports LLRP (low-level reader protocol), improves performance and expands software vendor support. "The Octane 3.0 firmware addition to the Speedway reader exemplifies Impinj's leadership role in enabling a standards-based approach to RFID deployments and our continued commitment to performance improvements," said Dimitri Desmons, vice president of RFID marketing at Impinj. "The success of RFID depends on the ability to deliver reliable data. By providing context to that data (for example, with tag direction information), we are expanding the set of challenging business problems that the Speedway reader is able to address." The Speedway reader carries both EPCglobal's Gen 2 Conformance and Interoperability Certification Marks, which ensure predictable tag and reader operation in any deployment. 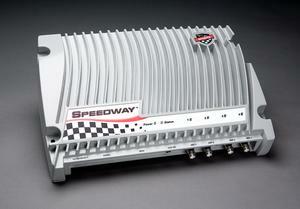 The Speedway reader with Octane 3.0 firmware will be broadly available in late 2007 from Impinj's network of qualified distributors, value-added resellers (VARs), and original equipment manufacturers (OEMs) who license Impinj's Speedway reader for use under the "Powered by Impinj" label. Information about Impinj's network of RFID solution providers is available at www.impinj.com/RFID/where-to-buy.aspx. Impinj, Inc. is a semiconductor and RFID company whose patented Self-Adaptive Silicon® technology enables two synergistic business lines: high-performance RFID solutions and semiconductor intellectual property (IP). Impinj is the leading technical innovator in developing UHF RFID solutions for both item-level and supply-chain tagging worldwide. Impinj draws on its technical expertise and industry partnerships to deliver the GrandPrix™ RFID solution comprising high-performance tags, readers, software, antennas, and systems integration. Impinj also licenses innovative IP products to leading semiconductor companies worldwide, allowing them to seamlessly integrate crucial nonvolatile memory (NVM) alongside analog and digital functionality on a single chip. Impinj's IP products include the popular AEON® family of embeddable cores, which provide rewriteable NVM technology in logic CMOS manufacturing. For more information, visit www.impinj.com. Impinj, Speedway, Octane, Self-Adaptive Silicon, GrandPrix and AEON are either registered trademarks or trademarks of Impinj, Inc.